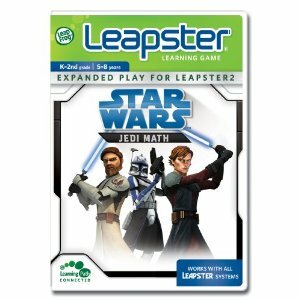 Hurry now to get the LeapFrog Leapster Learning Game Star Wars – Jedi Math Game for only $12.49!!! That is 50% the price in most stores!! Use your mathematics skills to decrease your enemy’s power in an exciting lightsaber duel.